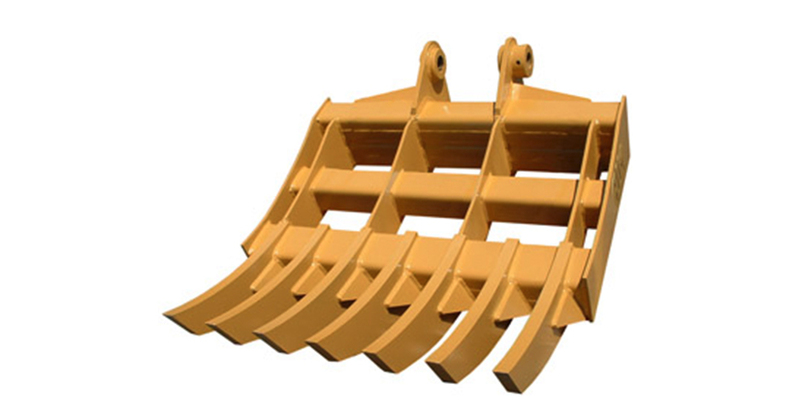 Rakes offer a tooth configuration that allows maximum reach for higher piling of materials. Stacking and loading can both be accomplished with this one versatile attachment. High strength steel construction for longer life with less down time. Close center of gravity utilizes the full lift capacity of the machine. Rakes can also salvage, sort, and load.